Exam Stress Tip #1: Plan Realistically. I think it’s so important to plan your time during exam period. I always find that having a structure enables me to study better. For me, and I assume for most students out there, I have no scheduled university lectures or seminars during my exam period. You are thus left with a ton of free time, in which you’re meant to study. Free time can however be hard to deal with I think. It’s way too easy to sleep in longer, move at a slower pace, and just generally do less with your day if you have no scheduled activities. This is where your study plan comes in. 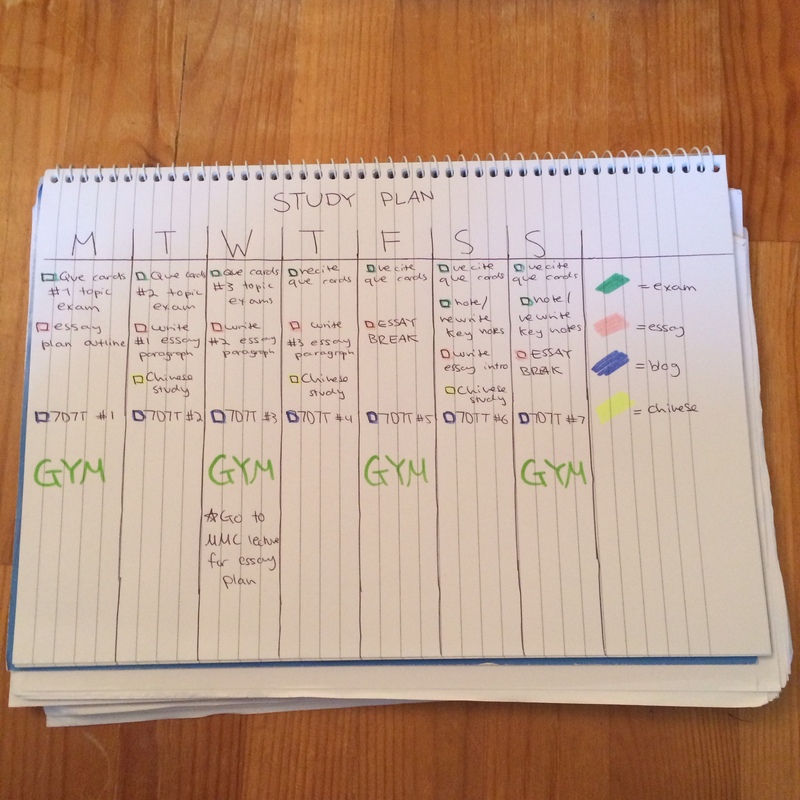 The best way to handle your free time is to create a study plan, and to treat it like a timetable. I write my study plan on Sunday’s, and plan for the 7 days ahead. Be specific and set goals for each day. This way, you wake up each morning knowing you have tasks to complete for the day. The most important thing to keep in mind when creating your study plan is to be REALISTIC. It can be tempting to set yourself a lot of big tasks to complete each day, in the hope that planning them in will magically make them happen, but you have to be honest with yourself. Don’t plan to write your whole essay on Monday; instead, plan to write two paragraphs Monday, two more Tuesday, and to finish it on Wednesday. You will feel much more motivated at the end of the day if you have completed all your set tasks as opposed to not having finished what you had planned. Another important thing that I always keep in mind when planning my studying it to make sure I have a variety of things to do. I don’t know about you, but I can get bored quickly. I’m much better off spending 5 hours completing three different tasks, then spending the whole 5 hours on one assignment. As you can see in my study plan above, I have four categories: “exam”, “essay”, “blog”, and “Chinese”. Each day I have made sure to have a task to complete for each of these categories, as to not get bored of one thing. At the end of the day, you need to plan for you. Don’t be intimidated by your friend that claims she is going to be spending 10 hours a day at the library to study for her exam, and feel pressure to do the same. If you know you’re better off spending just 3 hours a day in the library, than do that! There is no right way to study. As long as it works for you, that’s all that matters. Check back tomorrow for tip #2, and for those of you dealing for exam stress at the moment, keep your head up! Just keep in mind that it’s all manageable, even if it might not always seem like it. 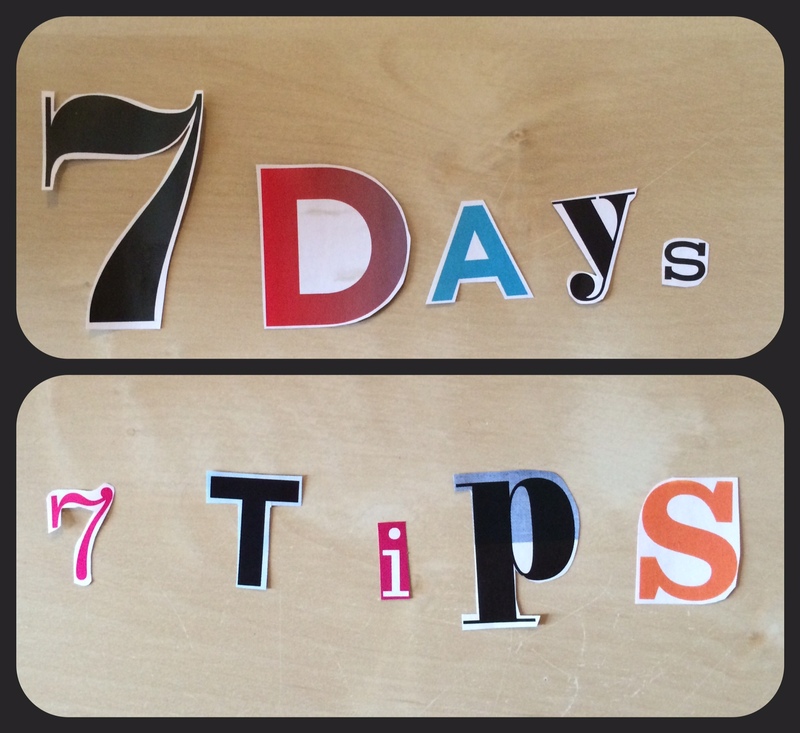 7 Days, 7 Tips: Exam Stress Week.